An aging actor (Bill Murray) and a neglected wife (Scarlett Johansson) made an unlikely pair in Sofia Coppola’s Lost in Translation. But their friendship resonated with audiences back in 2003, and their respective charms still entertain today. Here are a few things you might not have known about the film that earned Coppola an Oscar for Best Original Screenplay and netted Murray his first (and so far only) Academy Award nomination. 1. 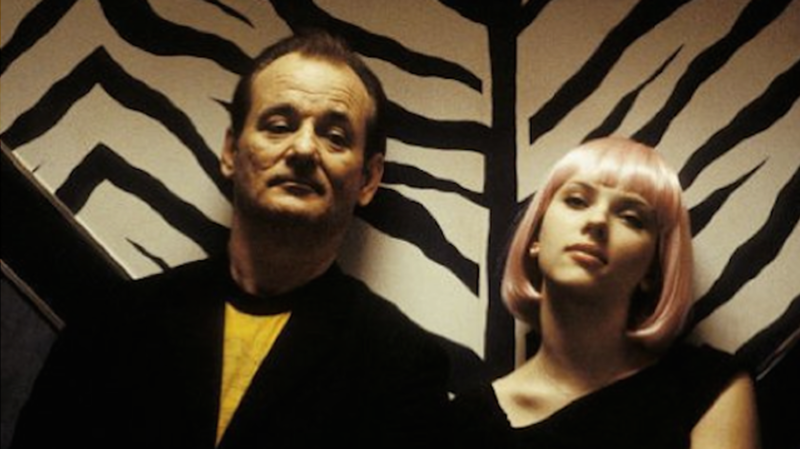 SOFIA COPPOLA WANTED BILL MURRAY—AND ONLY BILL MURRAY—FOR THE LEAD ROLE. Mutual friend Mitch Glazer showed Murray an early draft of Coppola’s script for the movie. Murray liked enough of what he read to meet Coppola at a downtown New York restaurant with some of his friends. Murray and Coppola talked for five hours, though very little of their conversation was about the movie. Murray agreed to do it, but did not sign a contract. Though director Wes Anderson, who has worked with Murray on several films, assured Coppola that, “If [Murray] says he’s going to do it, he’ll show up,” she was nervous. Especially considering that $1 million had already been spent on the film in pre-production. “It was nerve-wracking,” Coppola told Filmmaker Magazine. One week before filming was scheduled to commence, Murray arrived in Tokyo. 2. COPPOLA HAD LONG WANTED TO SHOOT A MOVIE AT THE PARK HYATT TOKYO HOTEL. Coppola had stayed at the hotel while promoting her first feature, 1999's The Virgin Suicides, and it became one of her “favorite places in the world.” It took some convincing for the hotel to agree to allow Coppola to shoot there, which is why they were only allowed to shoot in the middle of the night, in hallways and communal areas, so as not to disturb the hotel's guests. They weren't always successful; when one guest complained about Bill Murray's loud singing, Murray asked the man—in Japanese—“Who do you think you’re talking to?,” which sent the guest running scared back to his room. 3. COPPOLA COMPARED MURRAY AND SCARLETT JOHANSSON TO BOGART AND BACALL. 4. THE OPENING SHOT WAS BASED ON A JOHN KACERE PAINTING. Kacere was known for his photorealistic paintings of the midsections of underwear-clad women. And Coppola had a very specific idea of how she wanted the film to open, which included Johansson in a pair of sheer pink underwear, but it took some convincing on Coppola's part. "I told Sofia ... 'I'll wear underwear, if it isn't sheer,'" Johansson told The Guardian. "I had to wear underwear, like, the whole movie. It became very easy for me to trounce around in my underwear, in front of a large group of Japanese men. A skill I probably won't utilize again, admittedly. But sheer ... sheer was ... different.'" It wasn't until Coppola herself modeled the intended wardrobe that Johansson came around. 5. MURRAY WASN’T TOLD WHAT THE DIRECTOR WAS SAYING TO HIM IN THE COMMERCIAL SHOOT. Coppola wrote the scene in English before having it translated into Japanese, but never told her star actor what was being said in order to make his confusion more real. She based it on an incident that occurred while she was promoting The Virgin Suicides, when her Japanese interpreter would speak for much longer than she did. 6. HARRISON FORD WAS MURRAY’S INSPIRATION. 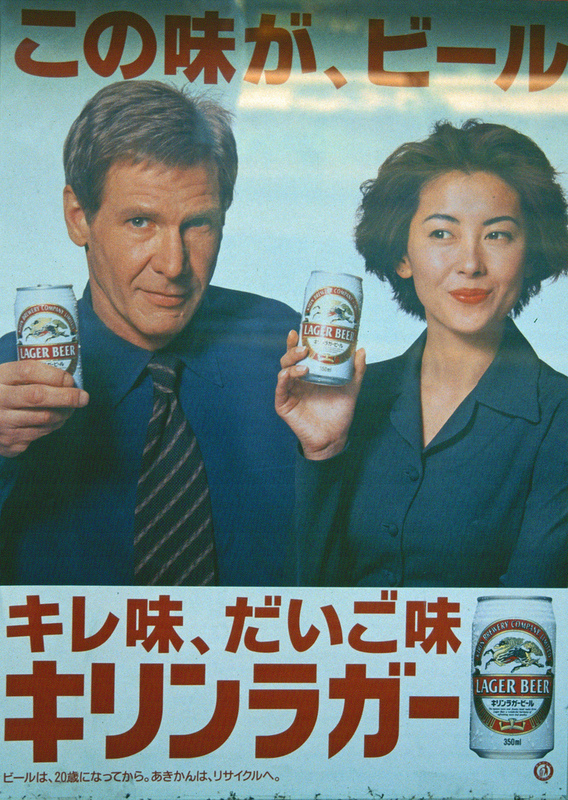 Bob Harris’s camera mug was modeled after Harrison Ford’s, whose face was on billboards all over Tokyo at the time, promoting beer. 7. THE COMMERCIAL SHOOT WAS INSPIRED BY SOFIA’S FATHER. In 1980, Francis Ford Coppola and Akira Kurosawa collaborated on directing some ads for Suntory Whisky at the Coppolas's home in San Francisco. 8. FRANCIS CONVINCED SOFIA TO SHOOT THE MOVIE ON FILM. He told her, “You might as well shoot film. It’s not going to be around very much longer.” She listened. 9. THE LOCATION MANAGER RESIGNED. For the scene in the sushi bar, Coppola simply wrote "he tries to make her laugh" in the script. Murray did the rest. 11. COPPOLA AND MURRAY TALKED OF THEIR LOVE OF ROXY MUSIC BEFORE HE SANG IT. Bob Harris’s rendition of “More Than This” at the karaoke bar was performed without knowing whether Coppola had the rights to use it. Eventually they managed to get permission from the group. 12. COPPOLA SWEARS THAT ANNA FARIS’S CHARACTER WAS NOT BASED ON CAMERON DIAZ. 13. MURRAY AND JOHANSSON NEEDED AN EXTRA DAY WITH THE SCENE IN BED. Coppola claimed it was the toughest scene to film. "I don’t know if they just weren’t in a good mood, but they weren’t getting along and it wasn’t going well," Coppola told The Daily Beast. "So we just stopped and tried again the next day. I just remember it being a bit tense, but it’s just such an intimate moment." Johansson said she felt “busy, vulnerable, and tired” during the 27 days of filming. She claimed Murray’s comedic persona was either "on" or "off." Murray himself chalked it up to not being able to sleep when he wanted to. 15. NOBODY KNOWS FOR SURE WHAT BOB SAID TO CHARLOTTE IN THE END.